Spoon ice cream into a large coffee mug. 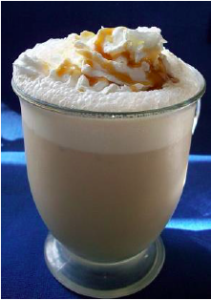 pour coffee, butterscotch topping and almond liqueur over ice cream. 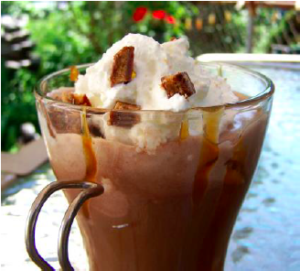 Top off with whipped cream and toffee pieces. Add cinnamon sticks to hot coffee and let stand. 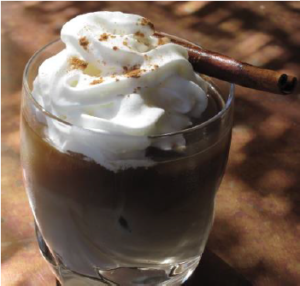 Remove sticks, add cream and sugar (to taste) Chill, then pour into tall glasses, fill with ice. Top off with whipped cream and cinnamon. 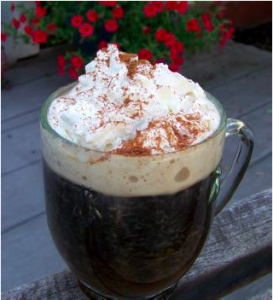 Place Kahlua, brandy chocolate syrup and cinnamon in a coffee mug. Fill with hot coffee. Stir to blend and top with whipped cream. 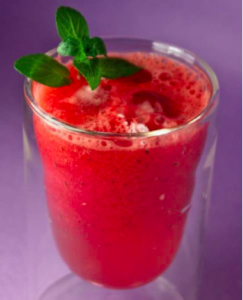 Put all ingredients except the green tea into a blender and blend until smooth. Stir the mixture into the iced tea. Add apple juice and sparkling water to the green tea. 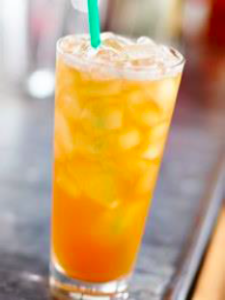 Pour over ice and garnish with fruit slices or mint. Add sugar and dissolve. 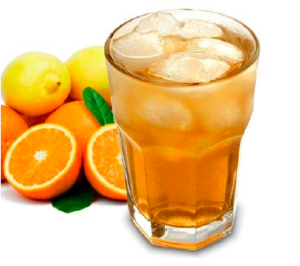 Mix orange juice with the tea and add lemon slices. Chill in refrigerator or server over ice. Mix tea and sugar to dissolve. Mix water and lemonade in a pitcher. 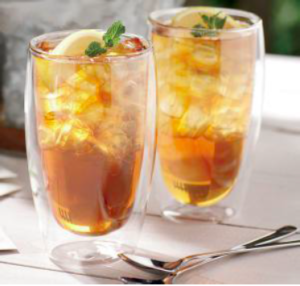 Pour the tea into the lemonade and refrigerate until ready to serve.